Empirical psychology first emerged as a scientific discipline during the eighteenth century when it was launched into the academic realm by being taught in universities, appearing as chapters in philosophy manuals, and debuting as the topic of scientific journals and textbooks (Vidal 408). Psychology “then, and for the first time­­­––[was thought of] as an empirical research discipline, committed to a naturalistic perspective on the mind” (409). This perspective led to the rejection of the soul’s agency in the body claiming that thoughts could be explained by observing physical “sensations” rather than relying on “the nature of an immaterial and immortal substance” (409). As such, the birth of psychology forged the theoretical connection between the body and the mind. Today, this connection remains intact. Modern research in cognitive psychology suggests that humans have a natural tendency to observe the behaviors of others and use this information to conclude how a person may be feeling or what he or she might be thinking. This phenomenon is referred to as Theory of Mind. Lisa Zunshine, a scholar in Cognitive Approaches to Literature and Culture, defines Theory of Mind (ToM) as the “ability to explain people’s behavior in terms of their thoughts, feelings, beliefs, and desires” (Zunshine 6). Theory of Mind is used interchangeably with the term mind-reading, suggesting that observing another person’s behavior is essentially like viewing them as a legible surface that can be read and translated into meaningful conclusions regarding what that person is thinking or feeling. We also “engage in mind-reading…when we interpret our own feelings based on our proprioceptive awareness” such as understanding that when “our heart skips a beat when a certain person enters the room [that means that perhaps we] have been attracted to him or her all along” (6). Therefore, we engage in mind reading every day, often unconsciously, and the ability to do so is now believed to be a cognitive mechanism by which we navigate social situations. Despite its recency, Theory of Mind is not a new phenomenon. Studying literature from as far back as the eighteenth and nineteenth century reveals that authors were able to endow their characters with these complex ToM abilities. One such character is Anne Elliot, the protagonist in Jane Austen’s novel, Persuasion. Austen’s novels are perfect examples of how the “pervasive psychological outlook” that was born during “century of psychology” was translated into literature (Vidal 408). She is known for writing novels of manners, a genre that emphasized social engagement and “the ways of thinking and valuing” people (Abrams). 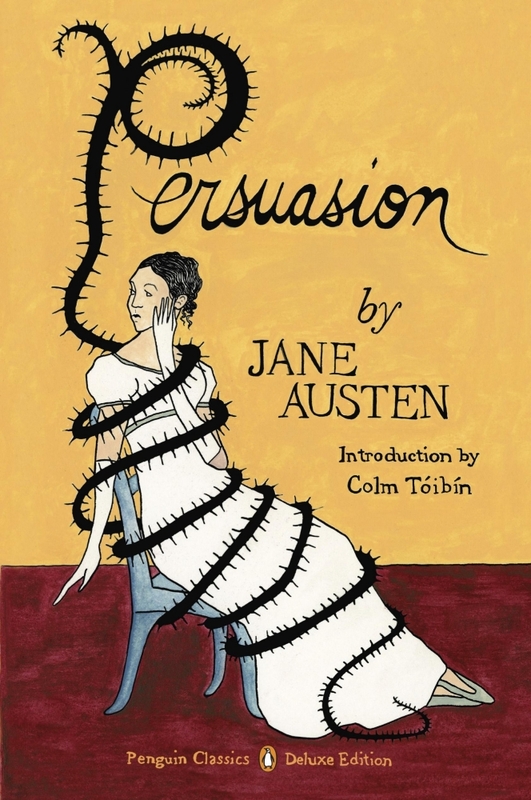 Persuasion, Austen’s last novel published in 1818, follows this pattern, but has been described as being more innovative than her previous works. She pushes the boundaries of the scientific discourse of her time by writing about “biological and innate aspects of mind and character [that speaks to] a new appreciation of unconscious mental life and embodied cognition” (Richardson 142-143). Because Persuasion associates emotion with specific organs and physiological reactions, Anne is able to read these physical responses and attribute states of mind as their cause, thus relying on her proficiency in Theory of Mind. Throughout the novel, Anne demonstrates attentive observations to the embodiment of cognition both in herself and in others, and as a result, her mind-reading skills are distinguished as superior to those around her. However, as we will discover, having superior Theory of Mind skills does not fully equate to having the ability to derive accurate assessments of the thoughts and intentions of others. When Austen first introduces Anne, she is described as having “an elegance of mind and sweetness of character, which must have placed her high with any people of real understanding” (Austen 7). This description instantly identifies Anne as someone who has superior mental functioning and a sweet disposition, and that these qualities are what enables her to interact socially “with people of real understanding.” As it turns out, there are not very many of these people in Persuasion, and instead Anne is most often surrounded by characters whose dispositions contrast hers. For example, Anne’s father and sister, Sir Walter and Elizabeth, are portrayed as being conceited, prideful, shallow, and economically lavish. Austen describes the pair by writing, “Vanity was the beginning and the end of Sir Walter Elliot’s character,” and Elizabeth was “very like himself” (7). Anne, on the other hand, “was nobody with either father or sister; her word had no weight, her convenience was always to give way.” Even in appearances Anne is juxtaposed with her father and elder sister: “A few years before, Anne Elliot had been a very pretty girl, but her bloom had vanished early; and as even in its height, her father had found little to admire in her (so totally different were her delicate features and mild dark eyes from his own), there could be nothing in them, now that she was faded and thin, to excite his esteem” (7). Anne’s distinction continues when her younger sister, Mary, is introduced and described as: “often a little unwell, and always thinking a great deal of her own complaints, and always in the habit of claiming Anne when anything was the matter” (32). Between Mary’s flaws of selfishness and a tendency to treat Anne like a servant, and Sir Walter’s and Elizabeth’s shared flaw of insufferable vanity, Anne is placed in a quintessential Cinderella story where she is distinguished in every way as different from her family. This differentiation allows the novel to portray Anne as unique in her mind-reading abilities by painting her as humble, self-aware, and highly observant of how her own behavior and the behaviors of others impact the people around her. “There was a momentary expression in Captain Wentworth’s face at this speech, a certain glance of his bright eye, and curl of his handsome mouth, which convinced Anne, that instead of sharing in Mrs. Musgrove’s kind wishes, as to her son, he had probably been at some pains to get rid of him; but it was too transient an indulgence of self-amusement to be detected by any who understood him less than herself” (63). In this scene, Anne is reading Captain Wentworth’s face and looking specifically at the minute behaviors of his “bright eye” and “handsome mouth.” The adjectives of “bright” and “handsome” here reinforce the fact that Anne is still very much attracted to Captain Wentworth; but more importantly, her detailed attention to the slight shift in his eye and curl of his mouth suggests that these features are not only capable of communicating information about his true thoughts, but that this information is something she alone can access. In this single “transient” moment, Anne draws multiple conclusions: (1) that Frederick does not share Mrs. Musgrove’s sentiments, (2) that he actually had disliked Mrs. Musgrove’s son when he was alive, and (3) that he had likely “been at some pains to get rid of him.” All of this determined in a moment so brief that it passed undetected by everyone else in the room, depicting Anne as possessing a keen awareness that privileges her as a literate reader of minds while her self-indulged counterparts are perceived as the illiterate objects being read. Indeed, Anne’s presence at Uppercross was either that of a silent observer or a mediating confident, both of which resulted in Anne consciously attempting to conceal her own thoughts or feelings. At one point, the narrator walks through all of Anne’s opinions concerning the business of the society she was with, and it becomes apparent that each of these opinions are grounded in Anne’s engagement with Theory of Mind. “Other opportunities of making her observations could not fail to occur. Anne had soon been in company with all the four together often enough to have an opinion though too wise to acknowledge as much at home, where she knew it would have satisfied neither husband nor wife; for while she considered Louisa to be rather the favourite, she could not but think, as far as she might dare to judge from memory and experience, that Captain Wentworth was not in love with either. They were more in love with him; yet there it was not love. It was a little fever of admiration; but it might, probably must, end in love with some (76). This excerpt is rich with examples of Anne’s constant engagement with mind-reading. It starts by pointing out Anne’s numerous observational opportunities, using the possessive pronoun of “her” in reference to observations being made. This syntactical choice suggests that the observing that was taking place in the available situations was being done by Anne and Anne alone––the observations belonged solely to her. The passage goes on to claim that although Anne had accumulated her observations and crafted an opinion, she was “too wise” to share this information with Mary and her husband. Associating wisdom with Anne’s concealing of her thoughts suggests that filtering what we say based on how we expect it to be received by others is a sign of true wisdom, again reinforcing Anne’s cognitive superiority. Furthermore, Anne’s seemingly well-thought out judgments are said to draw from prior memories and experiences that lend credibility to her assessments. By studying the behaviors of Captain Wentworth, Louisa, Henrietta, and Charles Hayter, Anne claims the authority of being able to identify the difference of real love versus simple infatuation. Using the term “fever” to describe admiration is an example of Richardson’s discussion of embodiment when he argues that words like warmth and ardour, and subsequently fever, function “metaphorically precisely at the uncertain borders between psyche and soma, where character traits are indistinguishable from the “glowing” physical sensations that make them known––to the self as well as to others.” Richardson points out that the metaphor at work here falls naturally back to the relationship between temperament and temperature (156). This physical feverish appearance in Henrietta and Louisa thus functions as an external behavior that Anne, using her Theory of Mind skills, interprets to mean that they are full of admiration, but not truly in love. Yet, despite Anne’s frequency in observing the bodies and behaviors of others, she also sporadically turns her observations inward to read her own physiological reactions as implications of emotional arousal. An example of this is when she spots Captain Wentworth on the street in Bath while seeking shelter from rain. “Her start was perceptible only to herself; but she instantly felt that she was the greatest simpleton in the world, the most unaccountable and absurd! For a few minutes she saw nothing before her; it was all confusion. She was lost, and when she had scolded back her senses, she found the others still waiting for the carriage” (Austen 165). In this passage, Anne’s surprise at seeing Frederick seems to momentarily cause her to shut down as demonstrated by the brief spell of confusion and transient blindness she experiences seeing “nothing before her” and feeling “lost.” Since Anne fails to be alarmed by this sudden episode, the novel suggests that she recognizes these physiological reactions as being a logical result of her sudden emotional arousal. As such, the embodiment of emotion is legible for Anne, even when that embodiment is happening within herself. However, Anne seems to admonish herself for having a response that was externally visible, despite the fact that she believes that no one else witnessed her start. Using insults like “simpleton,” “unaccountable,” and “absurd,” Anne mentally reprimands herself for failing to keep her thoughts hidden from her appearance. As such, those around her who appear throughout the novel to be unfiltered would necessarily qualify as ‘absurd simpletons,’ if Anne did not have the sweet disposition to reserve such harsh language for her own lapses. This also demonstrates that the characters surrounding Anne at this moment are entirely unobservant to her, and therefore are presented as ignorant and inferior in their comprehension and ability to read minds. Anne is described as “scolding” herself back to her senses, and in doing so seems to compose herself physically before meeting Frederick face to face. “He was more obviously struck and confused by the sight of her than she had ever observed before; he looked quite red. For the first time, since their renewed acquaintance, she felt that she was betraying the least sensibility of the two. She had the advantage of him in the preparation of the last few moments. All the overpowering, blinding, bewildering, first effects of strong surprise were over with her. Still, however, she had enough to feel! It was agitation, pain, pleasure, a something between delight and misery. He spoke to her, and then turned away. The character of his manner was embarrassment. She could not have called it either cold or friendly, or anything so certainly as embarrassed” (165). Here, Anne performs two levels of mind-reading simultaneously. She is attending to Frederick’s appearance and corresponding emotional reactions while at the same time practicing self-awareness and control of her own sensibilities. Having already experienced the jarring sensation associated with her own surprise, she engages with Frederick with the confidence that she has the “advantage” over him by “betraying the least sensibility.” Austen’s use of the term “advantage” in this passage works to place adeptness in mind reading and the ability to control one’s exterior appearance in line with wielding a higher degree of social power. Thus, in her empowered position, Anne confidently reads Frederick’s countenance and claims with certainty that it is reflective of nothing other than embarrassment. However, Anne’s accuracy in this assessment (as well as many previous ones) is thrown into question after the conclusion of the novel. “We certainly do not forget you, so soon as you forget us. It is, perhaps, our fate rather than our merit. We cannot help ourselves. We live at home, quiet, confined, and our feelings prey upon us. You are forced on exertion. You have always a profession, pursuits, business of some sort or other, to take you back into the world immediately, and continual occupation and change soon weaken impressions” (218). Mr. Harville powerfully rejects this idea with a burst of sensibility that speaks to his point that “men who have hearts” are no less passionate or faithful lovers than women (220). The grounding of Harville’s emotion in his heart demonstrates an embodiment of his feelings, and his corresponding behavior communicates to Anne that his assertions must be true. However, the link between embodied emotions and reliable mind-readings is quickly shattered. “I can listen no longer in silence. I must speak to you by such means as are within my reach…Dare not say that man forgets sooner than woman, that his love has an earlier death. I have loved none but you…For you alone I think and plan.––Have you not seen this? Can you fail to have understood my wishes?­­––I had not waited even these ten days, could I have read your feelings, as I think you must have penetrated mine” (222). In a profession of his love, Frederick claims to have attempted to read Anne’s feelings, but admits to his inability to do so. Therefore, he waited until he had ascertained verbal confirmation of her feelings before acting on his own. This identifies Frederick as a man who is aware of Theory of Mind, and particularly Anne’s proficiency in it, but who is seemingly not on her level in executing such skills. However, while Frederick seems to reinforce the argument that Anne does in fact possess superior skills in mind reading, he questions whether she had failed to fully comprehend his thoughts. And in fact, we know that Anne must have come to numerous inaccurate conclusions about Frederick’s true feelings since she is shocked to discover his passion for her, and seemed to have honestly believed him to be in love with Louisa Musgrove. As Zunshine points out, our attributions of mind are frequently incorrect (6). In conclusion, Austen’s novel Persuasion captures, and in a lot of ways precedes, the psychological advancements of her time. The characters in this novel of manners call upon the cognitive ability to discern what others are thinking based on their physical behaviors in what is today recognized as Theory of Mind. Anne, in particular, is identified as having a superior aptitude for mind-reading due to her comparatively observant and selfless nature. Her character is juxtaposed with others in the novel at every opportunity, conveying her uniqueness in possessing the ability to read the thoughts and feelings of those around her, as well as to be in tune with her own emotions that thus allow her to filter her physical expression of such feelings while no one else seems capable of doing so. The novel incorporates countless moments of cognitive embodiment where emotions are associated with internal organs and physiological responses. This link between the body and the mind is what makes Anne’s engagement in Theory of Mind possible. However, having superior mind-reading abilities does not necessarily result in the acquisition of accurate information. Therefore, while Anne is certainly distinguished for her expertise in utilizing Theory of Mind to navigate social situations, her failure to ascertain a correct reading of Frederick demonstrates the novel’s truly accurate representation of Theory of Mind as being the imperfect medium through which we interact with others in this complex social world we inhabit. Abrams, M. H.A Glossary of Literary Terms, Holt, Rinehart, and Winston, New York, 1988. Austen, Jane.Persuasion. London, Penguin Books, 1818, pp. 1-236. Richardson, Alan. "Of Heartache and Head Injury: Reading Minds in Persuasion. "Poetics Today, vol. 23, no. 1, 2002., pp. 141-160. Vidal, Fernando. “The Eighteenth Century as ‘Century of Psychology.’”Jahrbuch Für Recht Und Ethik / Annual Review of Law and Ethics, vol. 8, 2000, pp. 407–434. www.jstor.org/stable/43579329. Zunshine, Lisa. Why We Read Fiction: Theory of Mind and the Novel. Columbus, The Ohio State University Press, 2006, pp. 3-164. Karah L. Smith graduated in 2017 with a Bachelors degree in English Psychology from Michigan State University in East Lansing, MI.